4 mana, 7.7, another question? Look at this incredible combo!!!! Don Hon'Cho buffs Yogg-Saron, Hope's End. 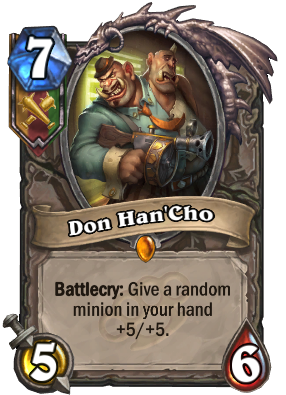 Yogg-Saron then casts Polymorph on Don Hon'Cho, and then Pyroblast on himself which he will now not survive because he has +5 Health! dafuq is this text? it's freaking outrageous compared with KAZAKUS! 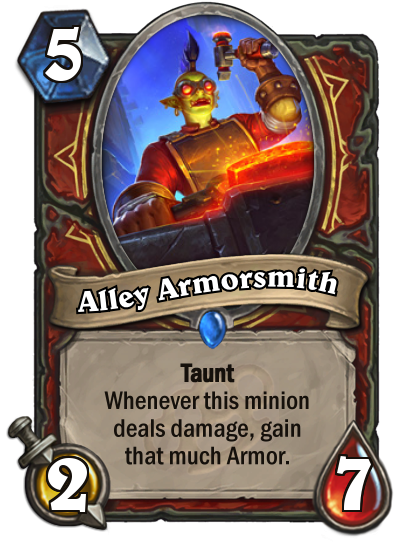 i thought it will be able to "craft" a custom weapon in the same fashion that KAZAKUS "craft" spells?! Give +x/x to stuff in your hand concept is pretty boring. I would expect something more interesting from legendary cards. Is anyone extremely disappointed by this card. 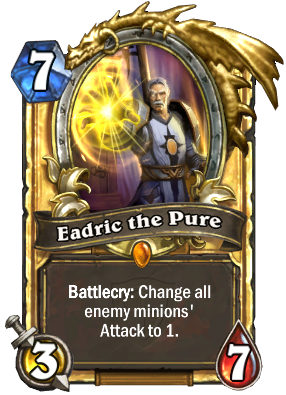 The other faction legendary revealed was extremely exciting, it got me super pumped up for the set. 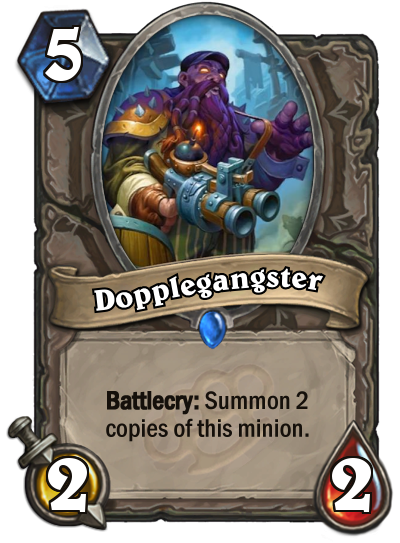 Then they reveal this... its just the same text as every other card slapped on a badass character. I find this unfortunate i hope others agree, we should be expect more thought provoking design for the team at this point, I want to see cards that make me think of new decks to make. sorry if i've repeated anyone at this point just wanted to get my point across. Grimy Goons looks like a gang focus on pure power and strength, such a simple and powerful effect is very suitable to this group. And take a look other Grimy Goons cards, you will find out. At first I was, but I have a feeling that this guy will be the face of combo. 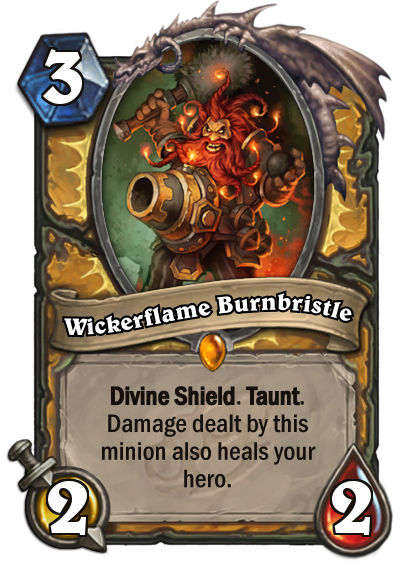 While his effect seems like just another buff, it can really create some cool situations.